Small business phone systems generally use one of two technologies: voice-over-internet protocol (VoIP) or landlines. Traditional landlines use reliable copper wires, while VoIP uses your internet connection to transmit your voice as data. VoIP business phone systems generally have more features, better functionality, and a cost that can start as low as $19.99 monthly. This means that a VoIP system like RingCentral is likely the better option for your small business. RingCentral offers unlimited calls to the U.S. and Canada and can be more inexpensive to set up and use than a traditional landline. You can even save your old phone number. Click here for a 7-day trial of RingCentral. 1 Quote was obtained from a chat with an online Verizon customer service representative on December 12, 2018 and based on a service address in New York, NY. *For the following, we used RingCentral and Verizon as examples for VoIP and landlines, respectively. Unlike a landline, which requires dedicated wires, VoIP phone services use your business’ existing internet connection to convert and transmit audio as data. While Skype and other services like Vonage are examples of good VoIP services for individuals, other VoIP options like RingCentral and Nextiva offer the same technology, but on a larger scale for businesses. With that in mind, VoIP also works in a nearly identical fashion to a traditional phone system. You can make and receive business calls using any type of phone, whether it’s another VoIP phone, a cell phone, or a landline. It may run on a different network, but you can use it just like any other device. There are a number of key differences between a VoIP platform and a traditional landline service. If you are a small business, wondering what is VoIP, or about its benefits, the first thing you might notice is the systems are much cheaper. When you compare RingCentral with Verizon’s landline service, RingCentral starts at less than half the price for five users. A VoIP service can also do things that a traditional landline simply can’t do. For example, VoIP services allow you to use your mobile phone as an extension of your office phone, which extends your phone system to literally anywhere you’re located. You can also integrate most VoIP platforms with outside business software like CRM platforms, as well as take advantage of additional features such as advanced call routing and voicemail-to-email. VoIP systems even give you the option to buy your equipment outright and have your IT team self-host and manage the service. For example, you can choose to rent the equipment from your service provider and have them host your service in the cloud. This cloud-based solution is typically best for small business due to its ease of use, cost efficiency, and limited in-house support requirements. However, the most significant technical advantage of VoIP services is their scalability. Landline systems are limited to the number of lines that you have connected, and adding more means installing and upgrading your hardware. VoIP systems, in contrast, only rely on your internet connection, meaning it can support an unlimited number of lines, depending on the strength of your connection. This drastically reduces your setup and maintenance costs. By and large, VoIP systems are cheaper than their traditional landline counterparts. While you can find a phone service as low as $19.99 per month, plans usually start at around $25 per user per month. This pricing accounts for the cost of setup, equipment, and ongoing maintenance costs. You also have to pay for an internet connection. Prices for landlines vary by provider. However, expect to pay between $100 and $200 on your base unit, plus additional costs for each handset you use. Based on our calculation for five lines for a New York small business, companies can spend $435.33 per month including taxes, but consult your local provider for more concrete information. Any business not subject to a poor internet connection or regular power outages will want to check out a VoIP system like RingCentral. They offer inexpensive international calling, integrations with outside apps, and the ability to use your phone number on any device. Unless your circumstances demand a landline, VoIP is a much better investment. Companies in remote areas, areas that have a poorer internet connection, or areas prone to electrical power issues may want to consider a landline over a VoIP system due to its time-tested technology and reliability. Verizon is a popular landline provider and is generally considered one of the best services available. A virtual phone service is another option for small businesses, offering a unique phone number which forwards incoming calls to your personal phone for a lower price than VoIP or landline systems. Grasshopper is a leading virtual phone service worth considering for solopreneurs and small teams. It comes at an affordable price and includes features like voicemail transcription. For more information on Grasshopper, click the link below. Both VoIP and landline systems offer a core set of calling features, giving phone service customers the ability to send, receive, and route calls. However, when deciding whether to go with a VoIP vs landline system, VoIP offers more functions beyond what a landline system can do and comes at a lower average price. The fact that VoIP services work over the internet allows for advanced features that simply aren’t possible with a landline. The ability to access business phone features via a mobile app, as well as use your same business phone number no matter where you go, is one example. International numbers, integrations, and other factors also give VoIP a large advantage over landline services. Landline phones, in comparison, operate on a purpose-built network that can run even when there is a power outage. As it is not tied to the internet connection, the call quality will remain high, even when the internet has a poor connection. VoIP services usually offer a mobile app, allowing you to use your smartphone as an extension of your office phone. You can have calls forwarded to you and receive them anywhere you are, as well as make calls from your mobile device and have them appear to come from your office phone number. As its name implies, a landline limits you to a wired office phone. Clients will not be able to reach you on your mobile device, requiring professionals who travel out of the office to maintain a separate business cell phone number. Therefore, VoIP systems are a more economic choice for teams who are out of the office frequently. The majority of VoIP systems allow you to make international calls with ease. Some providers, like RingCentral and 8×8, even allow you to purchase international call-in numbers. Outgoing international call rates vary by destination. Landlines also offer international calling, but at a higher price. In fact, international calls on Verizon’s landlines started at almost 30% higher per minute than RingCentral. This makes VoIP a better option for companies with multinational operations. VoIP systems can be integrated with third-party applications such as CRM software. For example, your CRM can record the number and time of all incoming calls and log them into your system for later reference. Landlines offer no such integrations. Businesses that use CRMs, cloud services, and other popular types of business apps will find that VoIP services better suit their needs, as they save staff from unnecessary data entry tasks. Landline systems are very basic compared to their VoIP counterparts. Outside of sending, receiving, and routing calls, landlines don’t offer much in the way of features. With that in mind, its reliable call quality makes it a good option for some businesses with unreliable internet. Landlines use a purpose-built network built from the ground up to transmit telephone calls. As such, it offers consistently good call quality as well reliability. As the network runs separately from the power grid or the internet, you don’t have to worry about losing service if there is a power outage. In most areas, VoIP call quality has caught up with the call quality found on landlines. However, VoIP still requires a stable internet connection to run, meaning teams without stable connections will want to go with a traditional phone system. Landlines do not offer the ability to make and receive calls from your work number on a mobile device. While many landline providers can bundle in mobile phones with your service package at an additional cost, those phones will have different numbers. This is very different from today’s leading VoIP providers, which offer mobile functionality that lets you take calls on your work number anywhere you go. Therefore, landlines are a good fit for organizations that have no need for mobility. International call rates vary depending on location. In the case of Verizon, rates start at $0.05 cents per minute but go up depending on location. Additionally, you cannot purchase an international number to hook up to your landline system. VoIP systems offer international calling at much lower rates. In fact, when comparing rates from RingCentral and Verizon, international calls on Verizon’s landlines were almost 30% more expensive than on RingCentral’s VoIP network. Landlines are a better fit for organizations that do all of their business domestically. Landlines offer no software integrations, which hampers their effectiveness in the modern business world. All of your CRMs, collaboration apps, and other business tools will have to run entirely separate from your phone system, requiring staff to perform significantly more manual data entry or toggle back and forth between screens. VoIP platforms, on the other hand, connect data to all sorts of business applications. Some customers just want simplicity and reliability, though, and landline systems are a good fit for them. From initial setup to everyday use, your phone system should be easy to use and operate so that your employees can focus on important work. We looked at the overall usability of each system. Because using a landline handset is so simple, it has the edge over more complex VoIP services. Most VoIP providers offer help with the initial setup. After that, using the systems and navigating through the various features on mobile and desktop apps is usually easy enough for users of all skill levels to understand. That said, the web-based features of VoIP systems could potentially be confusing for less tech-savvy team members. Once you’ve plugged your landline connection into the wall, everyday use of your phone system mostly comprises sending, receiving, and routing calls. Businesses that do not care to use complicated web apps will likely appreciate the simplistic nature of a landline phone system. No matter what type of system you choose, your phone system vendor should offer customer support channels to help you when you need something. Because customer service varies so widely amongst providers, it’s difficult to rate the customer service of one type of system over the other. A majority of today’s phone services offer a customer support line that you can call and a support chat that you can speak with on the company’s website. Customers like different aspects of VoIP and landline phone systems. 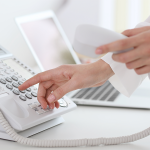 Both offer basic calling modules, but customers appreciate the consistency of a landline while appreciating the robust features offered by VoIP. The advanced functionality and lower cost of VoIP solutions give it the edge in terms of customer impressions. Dave Labowitz, a business coach in Los Angeles, has used both types of systems and finds VoIP to be far superior. “VoIP is great for setting up things like call forwarding, call queues, ring groups, and telephony metrics. I haven’t had good experiences with landline software trying to accomplish the same tasks. When your organization adopts a phone system, it should let you route call traffic, handle calls, and provide people calling your business with an auto-attendant system. Extra features should include mobile functionality for your work number and integrations with business apps. Based on these criteria, we find that the majority of small businesses will want to go with a VoIP system. Unless you are located in a rural area and need the stability of a landline, VoIP gives you much more functionality for your money. VoIP technology has advanced to the point where it’s no longer just an alternative to traditional landlines, but a complete replacement. A VoIP system can provide your business with additional features that weren’t previously available to you with a landline. A cloud-based service will also relieve your business of the responsibility of managing and maintaining your system while reducing costs. 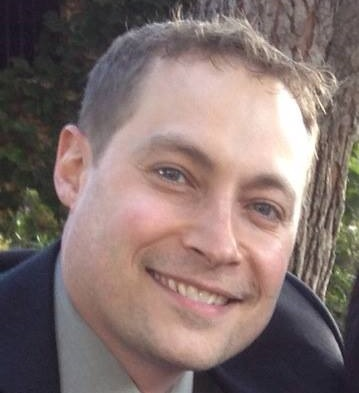 Rob is a tech writer for Fit Small Business with more than 6 years of experience researching and covering business technology for outlets include Keypoint Intelligence and PCMag. Rob lives in Jersey City, NJ and enjoys traveling, gaming, and experiencing the outdoors. tu rosa de manera muy simple y sencilla. I hope this comment gets left up as there is absolutely nothing on the internet about this! If you are a firm or executive office with a receptionist and multiple companies sharing the space, do NOT transfer to a VoIP system and keep your landlines! Intercom, hold features, and small screens make transferring, holding, and intercoming while on a call much more difficult. You also cannot use an answer and strike feature for your front door with VoIP — well you can, but there is a delay. Our analogue phones worked great before and we were told we needed to come into the 21st Century and that it would be much less expensive. I am on month 2, and many, many hours and tech support calls later (15 + 3 and 4 hours a piece), and I cannot get our system to work. VoIP companies will not come to your office and you need a separate IT person. It has been a real nightmare for us, and I am a very patient person that is relatively tech savvy. Also, our bill with VoIP is much more expensive!!! We had Spectrum before and it was $29.99/mo per line. It is $44.99/mo per line with Ringcentral. I will update this if we ever get our system to work. We have used Ring Central and Nextiva and Nextiva is substantially better. Try them. Hi I work for a smallllll business in SF (3 people). We just need an analog land line business phone since our internet connection is spotty. I\’m reseraching the best analog plug n play business phone. I\’m looking for the clearest call with great, clear speaker phone and super clear excellent headset. 1 base and 2 connecting handsets is all we need. I\’m doing my amazon, google etc reviews but I don\’t believe them half the time. I prefer expert reviews. Everything is for phone system reviews these days. Any recs or experts I can go to? If you’re looking for a landline phone, we’ve heard good things about the Panasonic Link2Cell KX-TGE474S. It looks like it would fit your needs perfectly. with VoIP system is possible to have more 1 link telephone? One of the key advantages to VoIP is you can support many phone lines — typically at least 20+ phone lines with an average cable internet connection. We have a speed test to help you find out how many you can support. I would like to suggest that your readers also check out the Fonality phone system from Netfortris. We ( https://esmithit.com ) have been using and selling the Fonality system since 2007 and I haven’t seen one that matches the features and capabilities for a small business, at the same price point. Their HUD unified communications software is unmatched. Note that in my experience the quality of VoIP phone system providers is about equal. They all have an occasional but rare outage, but for the most part they all work well as far as call quality, all else being equal. What is more important is maintaining a high quality Internet connection from a reliable ISP, using a reliable router capable of handling SIP (the standard VoIP protocol; most newer routers have no problem with this), and maintaining a reliable internal network. Thanks for the comment and the tip. I completely agree about the relative parity among VoIP providers now. The technology has come a long way. A fast and reliable internet connection is a much greater factor in call quality.